Tuff Pup Training is passionate about humane training methods grounded in behavioral science. Our programs in Philadelphia offer a hands-on, supportive approach to training and behavior modification. Matt Schimsky is a Certified Professional Dog Trainer (CPDT-KA). He is a professional member of the Association of Pet Dog Trainers (APDT), a member of the International Association of Animal Behavior Consultants (IAABC), and a member of the Pet Professional Guild (The Association for Force Free Pet Professionals). 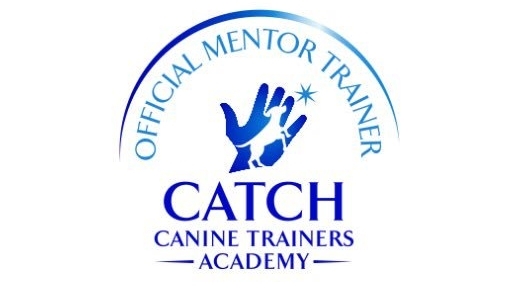 Matt is also an official mentor for the students of CATCH Canine Trainers Academy. 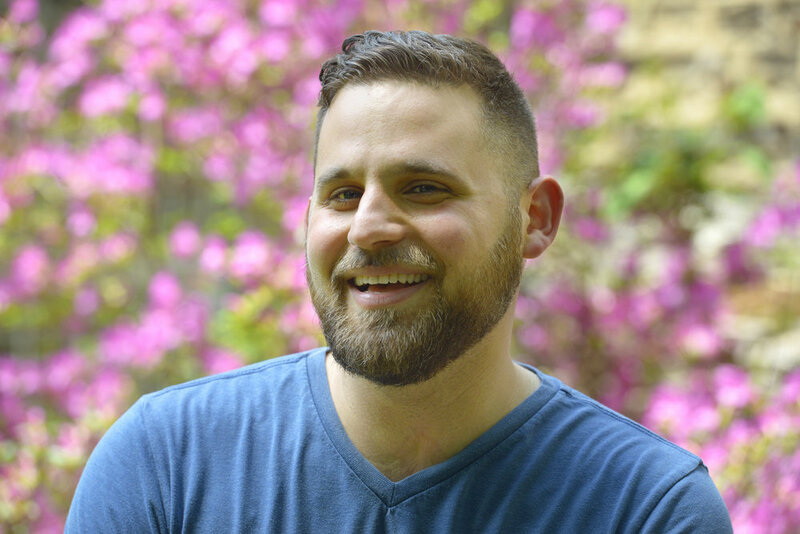 Matt is passionate about humane training methods grounded in behavioral science. He offers a hands-on, supportive coaching approach to training and behavior modification programs. You can see what Tuff Pup Training alumni have said about Matt on our testimonials page. Matt does in-home private training sessions with over 20 dogs each week. Matt graduated from Bard College (Annandale-on-Hudson, NY) and now lives in the Mt. Airy neighborhood of Philadelphia with his wife Lauren, his sons Owen and Leo, his two dogs (Molly and Zuko) and three cats (Eleanore Wheezlebottoms, George Bailey and Detective Tutuola). Sami Teich is a certified professional dog trainer. Sami is a graduet with honers from The Academy for Dog Trainers, a world-class, graduate-level dog trainer program founded and run by Jean Donaldson (author of The Culture Clash). Sami holds a Certificate in Training and Counseling (CTC) as well as a Bachelor of Science degree in Biology from Rutgers University. Sami first cultivated skills as a trainer while volunteering for a year at the Penn Vet Working Dog Center, a premier research and educational facility dedicated to producing elite scent-detection dogs. While there, Sami learned first-hand the power of positive training methods, structured training plans and dynamic canine enrichment. Sami assisted dogs at the facility in training for agility and scent detection, as well as search and rescue training. Sami is also a member of the Pet Professional Guild and through Tuff Pup Training, Sami offers personalized coaching programs to help dog owners work through a wide variety of behavior problems and training goals. She brings an infectious enthusiasm and patient attention to every session. Sami lives in South Philly with her dogs Kali and Coconut. When she isn’t training, she enjoys going on hikes with her dogs, running, and exploring new restaurants in the city. Tuff Pup Training has been a professional and certified training programs in Philadelphia for over 10 years. We are dedicated to helping dog owners create an exceptional relationship with their dogs. To do so, we utilizes a unique combination of positive reinforcement games, clicker training, extensive knowledge of canine body language and canine developmental needs. All Tuff Pup Training programs are created to leave you feeling confident and empowered. To ensure the highest quality relationship between you and your dog, Tuff Pup Training does not use any choke chains, pinch collars, or shock collars. Tuff Pup Training uses only force-free methods and avoids physical discomfort (physical corrections), pain or scare tactics which can all leave your dog stressed and unwilling to learn. Contact Tuff Pup Training at (631) 379-6850 to discuss our training methods and services in more detail.